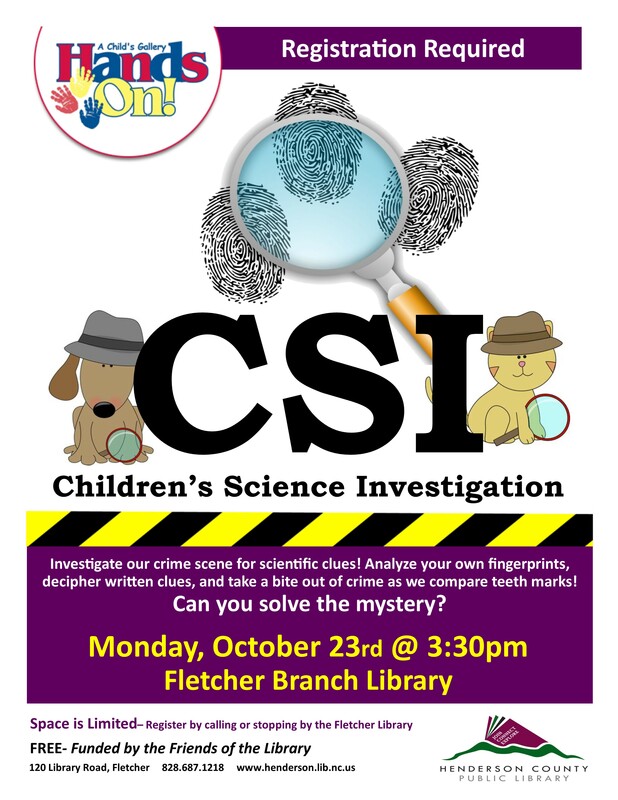 Investigate our crime scene for scientific clues! Analyze your own fingerprints, decipher written clues and take a bite out of crime as we compare teeth marks. Can you solve the mystery? This free program for children is funded by the Friends of the Library.